Paleolithic-era taxon of the genus Homo. The lineage that developed into Denisovans and Neanderthals is estimated to have separated from the lineage that developed into "anatomically modern" Homo sapiens approximately 600,000 to 744,000 years ago. Denisovans and Neanderthals then significantly diverged from each other genetically a mere 300 generations after that. Several types of humans, including Denisovans, Neanderthals and related hybrids, may have each dwelt in the Denisova Cave in Siberia over thousands of years, but it is unclear whether they ever co-habitated in the cave. Denisovans may have interbred with modern humans in New Guinea as recently as 15,000 years ago. 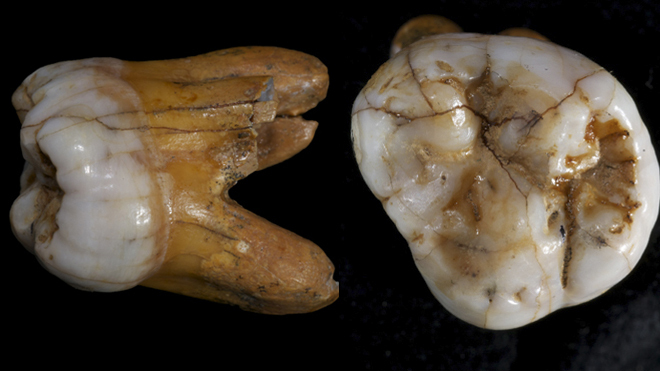 ^ "We may have bred with Denisovans much more recently than we thought". New Scientist. 2 April 2019. This page was last edited on 25 April 2019, at 12:51 (UTC).